It should also be noted that with respect to food convoys, the POE attempts a rather blatant obfuscation. On page 20 of the report (para 78) it says, of UN and WFP food convoys, “The first convoy entered the Vanni on 3 October 2008. In total 11 convoys went into the Vanni over the period of 5 months, delivering a total of 7,435 metric tons of food, which was not enough to maintain the civilian population.” But these, to repeat, were UN/WFP convoys. But there is not a single mention of the ICRC and the Government food convoys that went parallel to the UN/WFP convoys, and in fact continued long after the latter stopped. Thus, the POE comes to the conclusion that the civilians were deprived of food and medicine purely on the basis of the food and medicine transported by the UN, and entirely ignores the food and medicine transported by the Government and the ICRC. It is on this type of “evidence” that the POE wants the world to decide on important questions such as whether Sri Lanka committed war crimes. So, where does all this leave one? It leaves one with only one conclusion: The Secretary General has not made a prima facie case for war crimes, or rather, he simply has no case. And yet he persists in his dogged quest for “accountability,” most importantly, without giving Sri Lanka any opportunity to respond. Why? What gives him the right or the authority to do this—or rather, does he have a right or authority to do this? These questions naturally lead one to query his culpability under the law, to which I turn next. 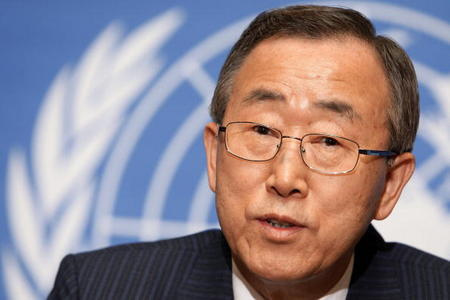 To assess the Secretary General’s culpability, it is first necessary to consider his own stated reasons (or those given by his experts) for his actions; second, any other reasons that can be inferred from his statements or those of his experts; and finally, any reasons other than those that can be inferred from his or his experts’ statements that can nevertheless be helpful in explaining his actions. In this section, I consider each of these matters. My argument, in brief, is as follows. The Secretary General’s stated reasons for his actions is a purported agreement he reached with the Sri Lankan President during a visit to the island in late May 2009, just after the war. On close examination, however, this agreement does not empower or authorize the Secretary General to pursue the types of actions he has pursued, namely, to place himself in the position of being a sort of “monitor” of the accountability process in Sri Lanka. This therefore deprives the Secretary General of the primary legal basis for his actions. His only other option, if he wants to legally justify his actions, is to resort to Article 99 of the UN Charter, which grants the Secretary General a certain amount of discretion to bring various matters to the attention of the Security Council. In my view (and I will explain the reasons later), the Secretary General can’t resort to the above option, either, in this instance, which means that he has absolutely no legal basis for his actions. One could stop there. The fact, however, that he has continued his actions despite having no legal basis for them raises the prospect, in certain very interesting ways, that he has also violated Article 100 and Article 2(7) of the UN Charter. Article 100 prescribes that the Secretary General and the UN staff will not allow themselves to be influenced in their duties by any “external authority to the Organization,” and Article 2(7), one of the most important Articles in the entire Charter, prohibits the UN from interfering in the internal affairs of nations. Again, I will explain all this in greater detail later, but first, let’s turn to the Secretary General’s own stated reasons for his actions. Before turning to the aforementioned document, it is necessary to highlight two further points: first, if one goes back to the lead paragraph of the terms or reference of the first report, it seems that the Secretary General’s understanding was that the Government was admitting or accepting that violations of humanitarian law were, in fact, committed during the last stages of the war. The relevant sentence says, “The Secretary General underlined the importance of an accountability process to address violations of international humanitarian and human rights law committed during military operations between the Government of Sri Lanka and the LTTE” (emphasis added). The word “committed” is not qualified in any way, for instance as “allegedly committed,” or “may have been committed,” or some such phrase. Second, if one goes to subsection 2 of the terms of reference of the same report, it indicates that the Secretary General’s understanding was that there was a joint commitment to accountability. A “joint commitment” obviously entails that the Secretary General would be in a position to monitor the accountability process, to give assistance to it, and so on. What one has to look for when examining the agreement, then, is whether it actually bears out the above two interpretations on the Secretary General’s part. 5. President Rajapaksa and the Secretary-General recognized the large number of former child soldiers forcibly recruited by the LTTE as an important issue in the post-conflict context. President Rajapaksa reiterated his firm policy of zero tolerance in relation to child recruitment. In cooperation with the United Nations Children’s Fund (UNICEF), child-friendly procedures have been established for their “release and surrender” and rehabilitation in Protective Accommodation Centres. The objective of the rehabilitation process presently underway is to reintegrate former child soldiers into society as productive citizens. The Secretary-General expressed satisfaction on the progress already made by the Government in cooperation with UNICEF and encouraged Sri Lanka to adopt similar policies and procedures relating to former child soldiers in the north.